"The proximity of the subject to outside undesirable influences can be caused by what is known as progression or regression. 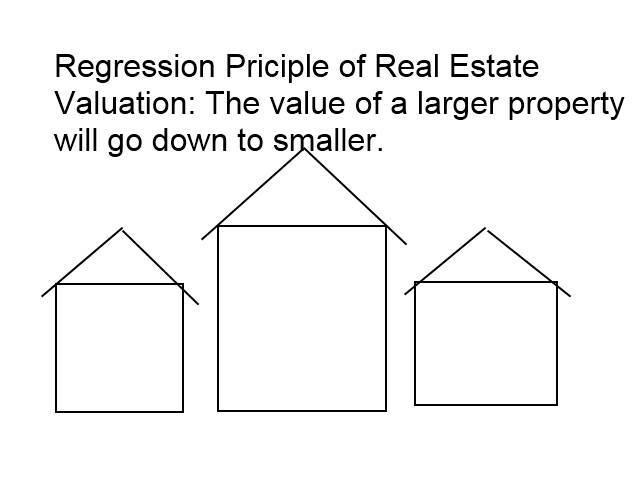 These two terms denote a positive or regressive affect on the value of the subject caused by its location among higher or lower priced homes in the neighborhood. Therefore, the best investment is usually to acquire the lowest priced property in the neighborhood, because it has the best upside potential."